The small town of Eastbrook, Maine seemed like the kind of close-knit community where newlyweds Dean and Elizabeth Montgomery could begin their lives together, and the 1930s Victorian seemed like the house they’d always dreamed of owning. The only condition for purchasing the property was that it was sold in “as-is” condition. But when the couple arrives in Eastbrook, they receive anything but a warm welcome from the local residents. And when they realize that as-is condition meant that the previous owner of the house had left every worldly possession behind, the dream of the small town life starts to take a mysterious turn. Day after day, Dean and Elizabeth uncover more truths than they could have ever imagined, or ever wanted to know about the secrets that were hidden in the small town of Eastbrook. And as neighbors become growingly hostile with every encounter, this young couple searches furiously to uncover what the residents are trying to hide. But what they find instead is that the home they thought they were getting a good deal on has a much higher price than they could have ever known, and that some secrets are better off hidden. The story is about a newly wed couple Dean and Elizabeth moving to a remote town Eastbrook which didn't see any visitors from last 4 years. The hostile behavior of neighbors and people in the town seems strange. Meanwhile, they find a dead body inside the house in an empty room . With no one to help, where will they go and whom would they ask? This forms the remaining story. I expected it to be a horror. But this is a mystery/ suspense. This a quick read with around 160 pages. The book cover and title look apt. The story seems to drag a lot. The characters are convincing, especially Dean with his subtle sense of humor and Elizabeth as a newly wed wife trying to adjust to the new household. The climax is good and unexpected. The only drawback is it is too much boring in the middle. The narration is fine and easy going. I would recommend this to someone who love a quick light read. 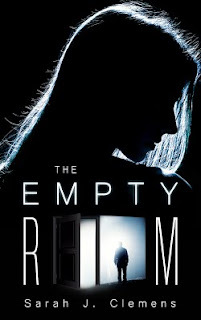 Sarah J Clemens is the author of the debut novel, THE EMPTY ROOM. She began writing THE EMPTY ROOM in 2008 and formed her own publishing company in 2016 called Off the Page Publishing. Sarah was born in California and now lives and works in Boise, Idaho. In addition to writing fiction, she is a legal assistant with an Associate of Arts and a Bachelor of Science in Criminal Justice.